Following last week’s article in City Press about cleaning tenders at Eskom allegedly being rigged, Monde Bala, the head of Eskom in KwaZulu-Natal, has launched a probe into who leaked the information. Bala this week wrote an internal memo, which City Press has seen, warning employees against leaks. 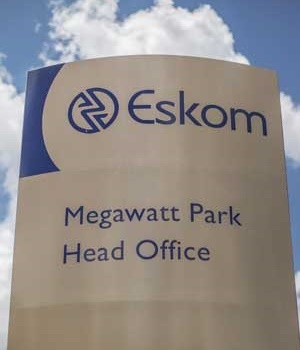 According to two independent sources close to Eskom, Bala had a team of investigators flown down from Eskom’s headquarters in Johannesburg to KwaZulu-Natal to find the source of the alleged leak. In the memo, Bala tried to explain away the scandal. “The contract in question was adjusted in line with Eskom’s procurement and supply chain management policy,” he wrote in the memo. “The adjustments were made to ensure compliance with statutory obligations. "The tender committee made a decision to modify the contract after taking into consideration all available and relevant information. “It did not overlook any information that was submitted, as was erroneously reported in the media. “Investigations are currently under way to verify that the process leading up to the modification of the contract was in no way compromised. The article alleged that a tender committee, headed by Bala, went against professional advice and hiked the price of the tenders by R13.2 million to R77.4 million. Eskom spokesperson Khulu Phasiwe said that no objections had been raised about the awarding of the contract to Mfesi Cleaning Services. Eskom’s probe was “merely to ascertain that no procurement procedures were violated during the tender-modification process”. “The modification was approved by the procurement tender committee in April 2017 following a request that was made in February 2017,” Phasiwe said. Eskom encouraged its employees to blow the whistle on suspicious acts of maladministration, he added. “Mr Bala is not part of the investigating team ... The notion that he would abuse the process to punish people who leaked information ... is unfounded,” Phasiwe said.